Everyone has a story about the first vegan dessert they had and how it absolutely blew their mind. 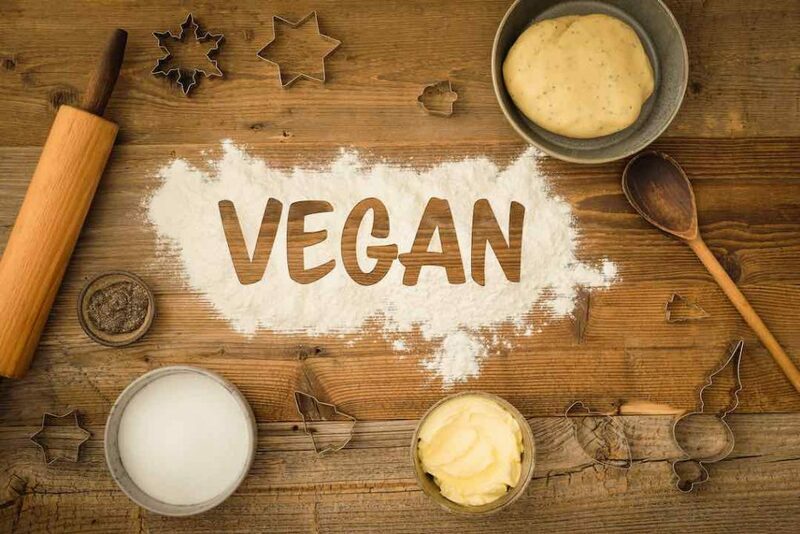 Vegan desserts are a special kind of food that most never forget as they are flavorful, decadent and delicious with no animal ingredients at all. Vegan desserts tend to be a revelation for many and a doorway to veganism as they realize that animal ingredients aren’t needed to make something taste amazing and have a great texture. And if animal ingredients aren’t needed in baking, where else can they be omitted and still have amazing tasting food and results? These are the foods to serve to skeptical family and friends as well as appreciative vegans. There’s nothing quite like being able to come home to freshly baked chocolate chip cookies, or having a slice of homemade pumpkin pie on Thanksgiving. 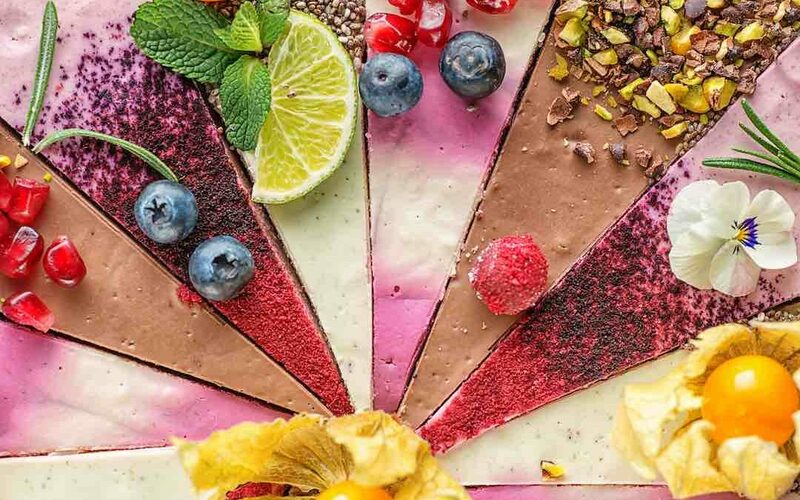 Vegan desserts can range from simple, minimal ingredient creations like raw brownie bites or more elaborate, labor-intensive delicacies like cinnamon rolls or multi-tiered wedding cakes. 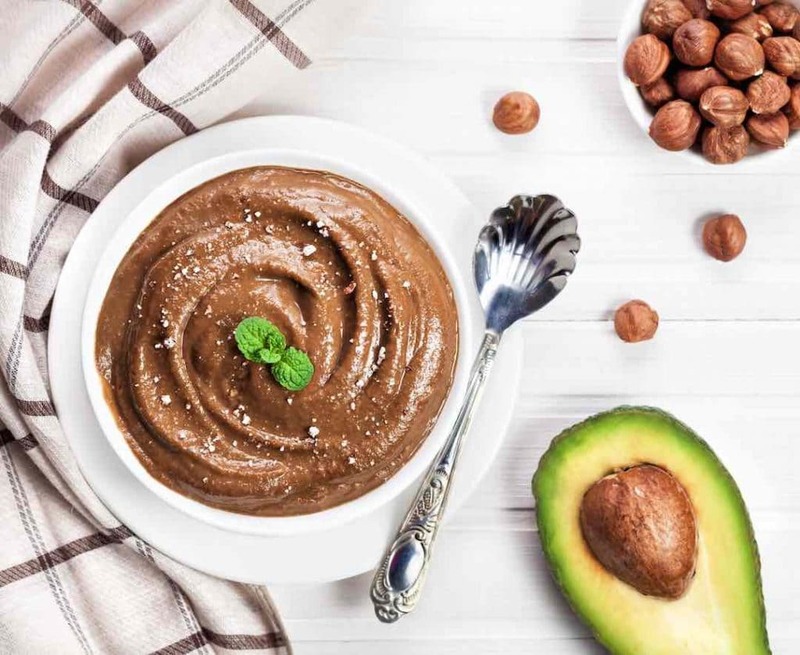 We’ve gathered up a list of our favorite vegan desserts that are easy to make and sacrifice nothing in terms of flavor. Easy vegan desserts are crucial for all the sweet loving vegans to have on hand so they can whip them up whenever desired with minimal effort or time. Have only 45 minutes while the baby naps? Perhaps you’re working two jobs and only have the time in between for yourself. Maybe you’re juggling a busy career, school and kids. Whatever your reasoning, we’ve got easy vegan desserts to help you satisfy your sweet tooth without requiring a lot of time or energy. We’ve also created a mini grocery shopping list for all of our favorite vegan dessert essentials. Is there any dessert that is more timeless and classic than a chocolate chip cookie? 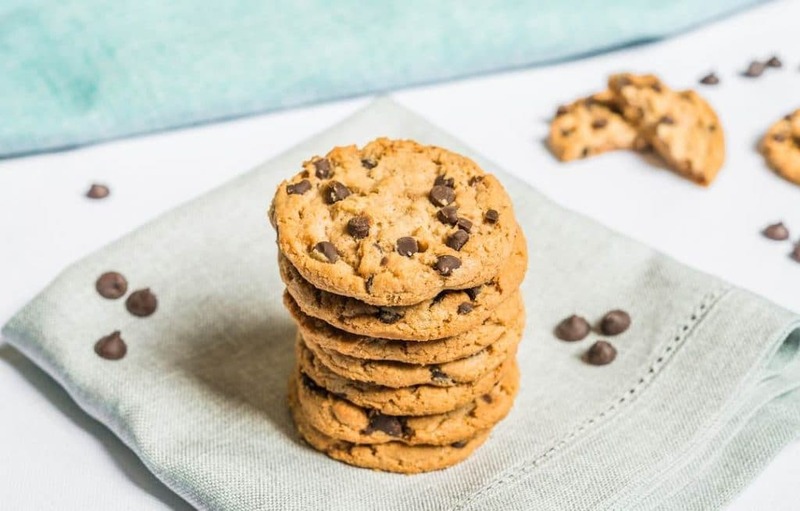 The classic chocolate chip cookie is what we remember from childhood birthday parties, holiday gatherings and school lunches so of course, we’re sharing a veganized version! We’ve included both a traditional version of the cookie as well as a fresh take using gluten free and grain free flours that we promise is just as delicious! Is there anything better than a warm, fresh out of the oven, gooey brownie? For a chocolate lover, there isn’t much, but we’ve got an updated twist on this classic. Vegan brownie recipes abound on the internet so we’ve decided to share our healthier, raw version. These brownie bites are filled with antioxidants, magnesium, vitamin E, fiber, and omega 3’s making them a dessert you can eat in abundance and feel good about. In a food processor or high-speed blender, grind down your raw almonds until they reach a coarse, flour-like consistency. Set aside in a bowl. Next, in the food processor or high-speed blender grind down your raw walnuts until they reach a coarse, flour-like consistency. Set aside in a bowl with almond flour. Remove the pits from your dates, checking each date thoroughly before adding it to your food processor. Process dates until a thick, paste-like ball is formed. Add in the almond and walnut flour, salt, and cacao powder and process. You will probably need to stop a few times and scrape down the sides to thoroughly mix this. The longer you process, the oilier it will get. You can either form this into balls, scoop it or put in a brownie pan. Let firm up in the fridge if too oily. fold chopped walnuts into the mixture for some texture before forming. Roll balls in cacao powder or cinnamon. Add in vanilla extract, mint extract or orange extract. If you don’t mind if these are all raw, add in some high-quality chocolate chips like the Equal Exchange brand for an intensely chocolatey treat. Speaking of chocolate and childhood treats, who didn’t love pudding as a child? Chocolate pudding cups felt so decadent, especially if you used them to make mud with cookie crumbles and gummy worms. Looking back, pudding wasn’t nearly as flavorful as it could have been and we’re certain you’ll agree once you try this recipe. It’s loaded with fiber, folate, magnesium and antioxidants minus all the milk and refined sugar. Add all ingredients to a food processor or high-speed blender and process until thick and smooth. If it’s too thick or needs help blending, add in one tbsp at a time of almond or coconut milk until desired consistency is reached. add in 1/4 freeze dried strawberries for a chocolate covered strawberry pudding. top with cacao nibs, hemp seeds, or fresh berries. for a super-rich treat, add in 2 tbsp of peanut butter or almond butter. You will need to add an additional few tbsp of milk to facilitate blending. Fudge is one of those treats that is so decadent and delicious yet hard to find vegan. Luckily, someone realized just how well coconut oil mimics butter and we were all gifted vegan fudge as a result. Freezer fudge is an easy recipe using minimal ingredients and all of them you probably already have in your kitchen. It’s easy to swap out nut butters so if for some reason you don’t like peanut butter (really though, why don’t you like it?) or you love almond butter, feel free to swap it out. This peanut butter version is incredibly rich and addictive, so beware! You may find yourself constantly at the freezer looking for just one more piece. Who didn’t love donuts as a kid? Or heck, who doesn’t love donuts as an adult? While vegan donuts are popping up in a lot of vegan bakeries, particularly in big cities, we’ve found a recipe that is easy to make and combines our love of donuts with coffee cake. These donuts aren’t fried so they will be a little more cake-like, but still we promise, absolutely delicious minus any hydrogenated oils. As soon as the leaves start to change or the first crisp morning rolls in or even just when September hits, pumpkin spice flavor rules everything. From coffee, to smoothies and bowls, it’s everyone’s favorite fall flavor. Pumpkin pie is what introduced us all to pumpkin pie spice and started a craze, and if you ask some people, it’s the best part of Thanksgiving. While vegan pumpkin pies can occasionally be found in the freezer section of natural food stores, this one is so easy we promise you won’t have to settle for frozen over fresh. We’ve got a far-out idea so bear with us, but sometimes, desserts just need to be something other than chocolate. Something light and fruity, a little bit tart, refreshing even. These blackberry lemon tarts are every fruit lovers dream. They are whole foods based with lots of vitamin C, fiber, manganese, omega 3’s, and antioxidants. They’re light and tart and oh so satisfying. They are considered a dessert, but certainly qualify as breakfast food too! Cupcakes have been having a moment for quite some time now and we can all understand why. Moist, sweet, topped with tons of frosting mini cakes are amazing! Typically you get either vanilla or chocolate or if you’re lucky maybe a chocolate variation (cookies and creme anyone?). But strawberry cupcakes, they’re something spectacularly special and not as easy to find recipes for, but oh are they worth it! These moist cupcakes feature everyone’s favorite spring fruit and have the perfect balance of sweet and tart, making them a unique and prefect way to use up those fresh farmer’s market strawberries. Apple pies are so classically American and while they’re traditional and delicious, this apple gallette is a serious competitor for the title of most delicious apple dessert. It’s exceptionally healthy as it’s free from refined sugar and it’s also free of grains making it perfect for those who are gluten-free. The recipe is oh so simple yet has an amazingly complex flavor yet leaves you feeling light without it giving a sugar hangover. The internet is full of raw vegan cheesecake recipes and this may have you puzzled, but there’s a good reason. 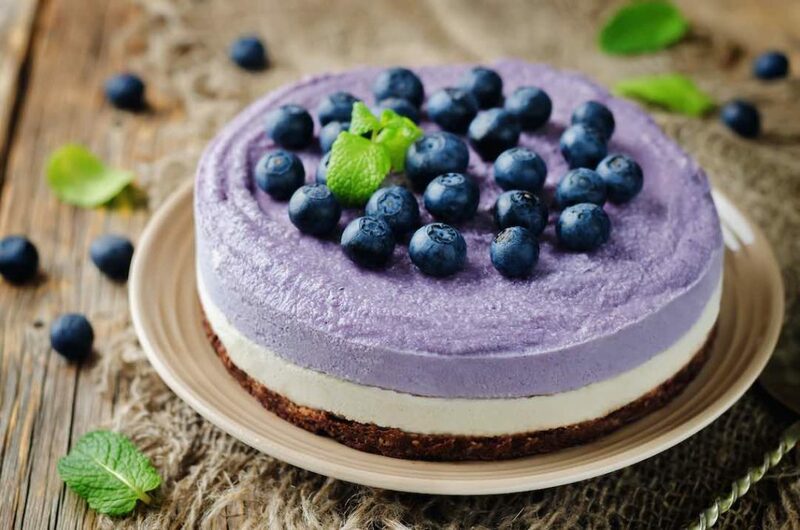 Raw vegan cheesecake is rich, decadent and tastes incredibly similar to cheesecake. The version of cheesecake is reminiscent of what you may have grown up on minus the excessive cholesterol and dairy, making it a guilt-free treat to share with any cheesecake lovers. And two bonus recipes, because whoever has too many easy vegan dessert recipes? These raw crepes were born out of a desire to have delicious vegan crepes that were gluten free and required minimal effort. One taste of a coconut based wrap and we knew they were something special to experiment with. This crepe has two variations, one for a lighter, fruity crepe that is both perfect for dessert or breakfast and one for a more dense, decadent, chocolatey, dessert crepe. Both options are amazing so be sure to try them both and experiment with different fruit and nut butters! To make the cashew cream, add all ingredients to a blender along with one tablespoon of water at a time and blend until smooth and thick. If not using a high-speed blender, soak cashews for an hour before and drain water off before using. Cut the coconut wraps diagonally to make two wraps. On each wrap spread 3-4 tbsp cashew cream and add chopped fruit to one half of each wrap. Fold each wrap over Diagonally and enjoy as a crepe. Cut the coconut wraps diagonally to make two wraps. On each wrap spread 2 tbsp of nut butter of choice. Next, sprinkle 1.5 tbsp mini chocolate chips or raw cacao nibs over one half of each wrap. Drizzle with 2 tsp of maple syrup then fold over each wrap and enjoy as a crepe.